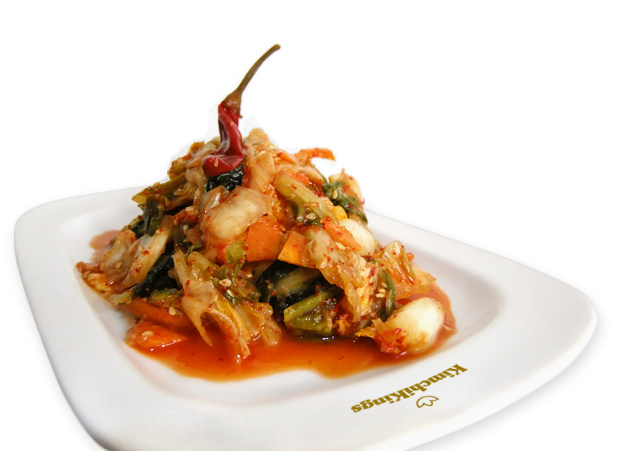 Our Kimchi is a fermented, vegan salad mix made up of various types of vegetables. We add chilli and ginger, which gives it its renowned spicy flavour. It is hand made with love and naturally, we never use any preservatives or glutamates. Because of the high content of naturally occurring probiotics, Kimchi has a beneficial effect upon the entire body and in particular the digestive system. It can be enjoyed on its own, as a side dish with various meals or it can be used to in the preparation of many delicious dishes. Where to get KimchiKings Kimchi? Selected health food stores in and around Prague.